James Lee Lowry, 87, beloved father, grandfather, and friend passed away on August 23, 2018. Dr. Lowry was born in Birmingham, Alabama and raised in the Capitol Heights area of Montgomery where he met the love of his life, Margaret Camilla Hamilton, on a fortuitous blind date. They would go on to marry on September 1, 1956 and have three wonderful children. Dr. Lowry earned both his B.S. and M.S. degrees in Electrical Engineering from Alabama Polytechnic University and stayed on at the university to begin his teaching career. In 1960, he left Auburn to pursue his Ph.D. at the University of Florida. 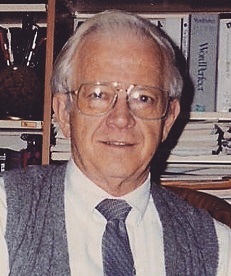 Upon returning from graduate school in 1963, Dr. Lowry re-joined the faculty of Auburn University as an Associate Professor, promoting to Full Professor in 1968, and remained with the EE department until his retirement in 1995. Of all his professional achievements and accolades, Dr. Lowry was most proud of the highly-accomplished graduates whose lives he touched. He taught thousands of engineering students at Auburn and directly trained many generations of leaders in industry and academia. In addition to his scholarly productivity, his meticulous attention to detail and his ability to design quality teaching and research equipment by ingenious adaptations of old and new made him a uniquely valuable and respected member of the academy. Throughout his professional career, and even beginning when he was a student, Dr. Lowry received numerous awards, culminating with the highly prestigious recognition of Alabama Engineer of the Year. Post-retirement, Dr. Lowry devoted the next 15 years to helping the dean of the College of Engineering develop an unprecedented building program at Auburn. Under the leadership of Dean Larry Benefield, Lowry was instrumental in the design and construction of the Shelby Center for Engineering Technology, launching the emergence of a massive engineering complex on campus. To his friends and family alike, Jim Lowry was a kind, approachable, funny, and extremely talented member of the Auburn community. His sharp wit, good humor, and ability to fix absolutely anything endeared him to many and live on through the diverse talents of his children and grandchildren. Jim Lowry was preceded in death by his wife, Camilla; his parents, Margaret and Wallace “Jimmy” Lowry; and his brother Marvin. He is survived by his daughter, Margaret Knox, her husband Kelley and son Robert (Robbie) of Woodstock, GA; a son, James (Jimbo) Lowry and his wife Kathleen, son Thomas (T.J.), and daughter Kasey Dedo and her husband Drew of Franklin, TN; and son William (Mac) Lowry and his wife Connor of Auburn, AL. A visitation will be held from 5-7 p.m. on Sunday, August 26, at Jeffcoat-Trant Funeral Home in Opelika. In lieu of flowers, donations may be sent to Auburn University Foundation for the existing James L. Lowry Student Project Award Fund for Excellence in the College of Engineering. He is remembered with love.